A genuine, hand-knotted Oriental rug is one of the best ways to add beauty and glamour to any room in the house. With the right care (and with the occasional call to Hadeed Carpet and Rug Cleaning), your rug will last a very long time. Sun Damage: Most rug dyes are quite resistant to sun fading or bleaching. Still, it’s important that you protect your valuable Oriental rug against harmful ultraviolet rays to prevent fading. Sheer drapes will help block most of the direct sunlight. Uneven Wear: In order to prevent uneven wear and color change, you can rotate your Oriental rug end-for-end once every year or two. Also, be sure that the rug is lying flat when you are done rotating to prevent rapid wear in one area. Moth Damage: Although moths don’t eat your rug, the females lay hundreds of eggs that hatch into larvae which consume wool and silk fibers. To prevent an infestation in your Oriental rug, be sure to vacuum the entire face of the rug weekly and to keep moths out of your home. Regular Cleaning: To flush out embedded dust, dirt and sand which causes undue wear by grinding away at the carpet’s fibers. Repair Damage: Act quickly to fix any unraveling, tears, holes, or other damage to prevent further damages. For more tips on how to care for your Oriental rug, contact the professionals at Hadeed Oriental Rug Cleaning. We are a Washington, DC-based Oriental rug cleaning company with over 50 years in the rug cleaning industry. To learn more about our Oriental rug repair services, or to schedule a rug cleaning appointment, call (703) 241-1111. The best way to keep your rugs and carpet clean for generations to come is by having them professionally cleaned at least once per year. But in order to keep your rugs and carpet clean between professional cleaning appointments, it’s important that you know how to treat most of the common stains and spots yourself—and even a few of the least common stains, as well. But how can you remember all the different ways to clean so many different stains? The answer is Stain 101. Some stains are permanent, and cannot be removed as they have dyed the fabric; this is when you need Hadeed Carpet’s color restoration/stain removal team to rescue your rug. Stain removal is something everyone needs to know about, and the Stain 101 app can help. It is important to act quickly when a spill or staining event occurs, blotting up wet substances, removing as much as possible. 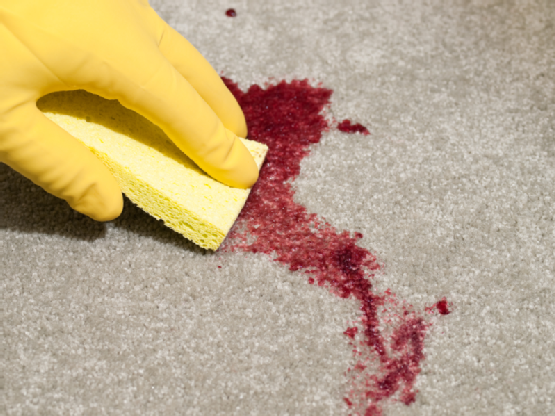 This comprehensive stain removal guide has information about how to treat almost any kind of stain you can imagine, from ballpoint ink to candle wax, so that you can keep your carpet looking its best between professional cleaning appointments. When it comes to professional carpet cleaning, be sure to contact Hadeed Oriental Rug Cleaning at (703) 241-1111. We have proudly served the Washington, DC area for over 50 years, and we’d love to show you why. Our services include wall-to-wall steam carpet cleaning and Oriental rug hand washing and repair. We also recommend a scotchguard for wool application to provide a level of protection against accidents. Regular vacuuming is recommended during the periods between wall-to-wall carpet cleaning by a professional company, but is insufficient to extract deeply embedded dirt that Hadeed Carpet & Rug accomplishes though superior equipment and technicians. 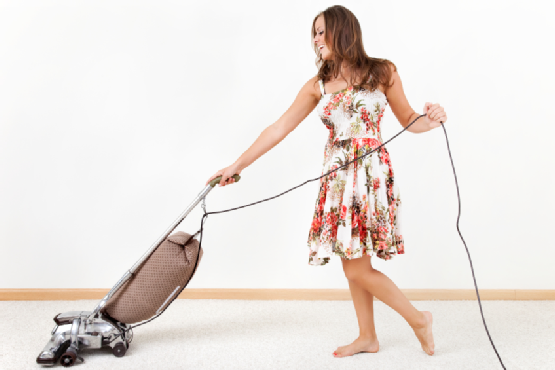 Vacuums help to pick up dirt and debris that may be sitting on the top of the carpet, preventing the particles from becoming embedded between the small carpet fibers (which grinds away at the carpet like tiny razors). Vacuuming more frequently also means that it will take less time to pick up any dirt or debris that may have gotten into your carpet after the last time you vacuumed. Believe it or not, the more you vacuum, the easier it gets! 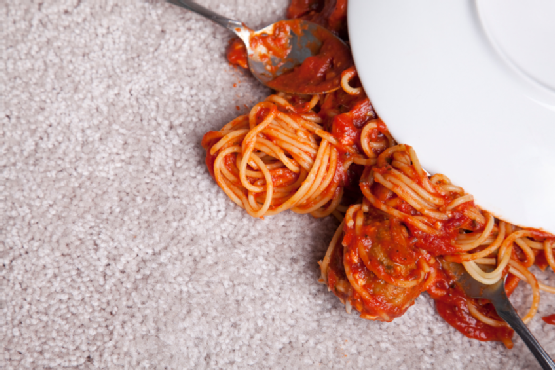 Dirt can actually break down your carpet’s fibers, minimizing how long the carpet will last. Removing dirt with regular vacuuming not only helps to maintain the quality of your carpet, but keeps it feeling soft and fluffy. Eliminating dirt can also rid the carpeting of some of the allergens that fibers are prone to holding on to. In addition to vacuuming, the best thing you can do for your rugs and carpet is to call Hadeed Oriental Rug Cleaning at (703) 241-1111. We specialize in traditional hand washing of Oriental rugs where we flush out all imbedded dirt at our plant, and offer high quality wall to wall carpet cleaning with the strongest of vacuums on our Hadeed Steam trucks. Check Out Our Website For More Information! You may want to host a fun, festive and colorful party, but chances are you aren’t looking for a colorful carpet as well. Even day to day life can present hazards for your rugs and carpets, especially if you have children, animals, or if your rug is located in a high-traffic area. Professional carpet cleaning is the best way to keep your home healthy, looking and smelling great, and to remove any of these common stains: candle wax, beverage stains, pet urine, cosmetics, or mud. Keep a foot mat or small rug near the exterior doors of your home so that your family and guests can wipe off their feet (and any mud) before walking on the carpet. Dupont Teflon, a scotchgard-like product for wool, by Hadeed Carpet. If you have pets inside of your home, be sure to house train them as soon as possible to avoid unsightly urine stains. Insist that food and drinks are kept in the kitchen, or other restricted areas. Spills and stains are inevitable in daily life, so if a hard-to-remove beverage like red wine is spilled on your carpet or rug, make sure to clean it up by blotting with a clean white towel as quickly as possible to avoid deep-set stains. Then clean with a solution of warm water and mild detergent. Also, be sure to completely dry the area to protect your carpet against mold and mildew. For more helpful tips, contact Hadeed Oriental Rug Cleaning at (703) 241-1111. 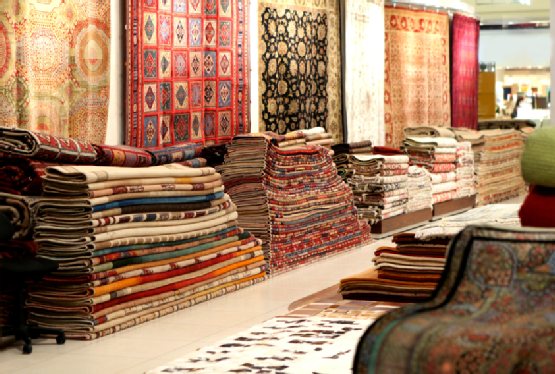 With over 55 years of experience in the Washington, DC area, we know a thing or two about cleaning carpets and rugs. Hadeed Carpet has a color restoration department which can eliminate any permanent stain. We also specialize in Oriental rug repair! If you live in the DC area, let Hadeed Carpet help you with all of your rug and carpet cleaning needs. The phrase “Oriental rug” has become a generic label for nearly any variety of patterned carpeting. This has provided the opportunity for professional rug cleaning companies to advertise “Oriental rug cleaning” when they themselves know nothing about the proper way to clean and repair Oriental rugs. But as a generic label, “Oriental rug” ignores the craftsmanship and skill that goes into making an authentic Oriental rug. So, what exactly is an Oriental rug? We’re glad you asked. Generally, an Oriental rug is handmade (either hand-knotted or woven) out of traditional materials such as wool and silk on a foundation of cotton, wool or silk, with indigenous design patterns that have been around the Middle and Far East for centuries. 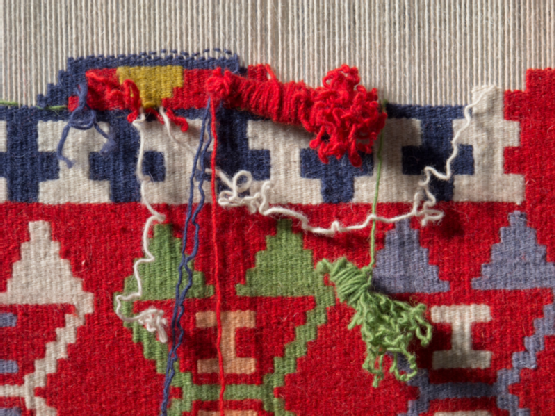 And for added textural and color variation, a fiber called “Allo” is sometimes used in the construction of Oriental rugs. The knot count, or “knots per square inch,” of a high-quality Oriental rug typically range between 100 to 400 knots per inch—each of which are completely hand-knotted. And because of the complex weaving patterns, it is extremely important that the utmost care is taken when cleaning your Oriental rug. And that’s where Hadeed Oriental Rug Cleaning comes in. Variables such as the color fastness of dyes, the fabric used on both the pile and foundation, pre-existing damages, and other factors must be considered in hand washing a particular rug.